All organizations exist to achieve their goals. The degree of implementation of these goals shows how effectively the organization operates, that is, how effectively it uses the resources at its disposal. The main goal is to assess the level of education of the applicant, his appearance and determining his personal qualities. For effective work of managers and specialists, it is advisable to use the general system of evaluation rules for a candidate. self-assessment, employee assessment by colleagues, evaluation of the subordinate by the manager ("top" evaluation), evaluation of the manager by subordinates ("bottom" rating). an assessment of the achievement of goals, which is widely used in assessing the performance of management personnel and is based on establishing for each manager clear and clear targets, which should reach the head by a certain date. advising appraisers on the part of the developer of the methodology or specialist who owns it. The main character is a line manager, responsible for the objectivity and completeness of the information base required for the current periodic evaluation, and conducts an assessment conversation with the employee. When forming the final evaluation, one should take into account: the views of colleagues and employees who have structural relationships with the staff being evaluated; subordinates; experts in the field of business evaluation, as well as the results of employee self-assessment. Personnel appraisal is an important stage in the final assessment of personnel over a period of time, usually 3 to 5 years. Attestation is a form of integrated assessment of personnel, based on the results of which decisions are made on further employee growth, relocation or dismissal of the employee. At the center of the certification process is a certification interview - a meeting of the attestation committee members with an attested staff member, during which the employee's performance results are discussed over the past period, an assessment of this work is made, and the employee's work plan for the next year and for the future is approved. making decisions on the results of attestation. the number and composition of the certification commissions is determined; reviews, characteristics and attestation sheets are being prepared for the attestation. Attestation of managers and specialists is carried out during the entire calendar year within the deadlines set by the head of the organization. 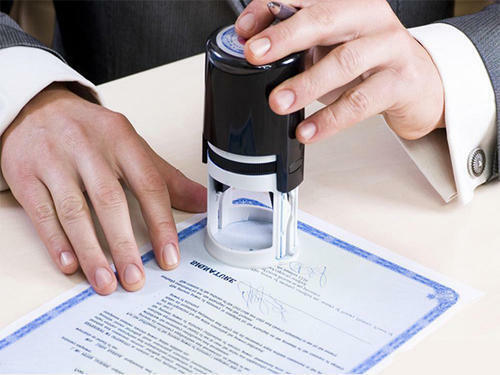 Attestation of employees of production units is carried out at least once every two years, and certification of specialists and managers is conducted at least once every 3-5 years. the statements of the guests. Does not correspond to the position held. After this, the formation of conclusions and recommendations on the certification of employees. Within a period of not more than two months from the date of attestation, he may decide to transfer an employee who is recognized by results of attestation as not corresponding to the position held, to another job with his consent. If this is not possible, the head of the organization may terminate the contract with him in the prescribed manner in accordance with the law. 1. Staff assessment centers. The use of different methods and the mandatory evaluation of the same criteria in different situations and in different ways significantly increase the predictability and accuracy of the assessment. Particularly effective in evaluating candidates for a new position (increase) and in evaluating management personnel. 2. Tests for proficiency. 55% of the respondents use tests that are somewhat similar to the work that the candidate has to perform. 3. General tests of abilities. Assessment of the general level of development and individual characteristics of thinking, attention, memory and other higher mental functions. Especially informative in assessing the level of ability to learn. 4. Biographical tests and biography. The main aspects of the analysis: family relations, the nature of education, physical development, the main needs and interests, the characteristics of intelligence, sociability. Also used are data from a personal file - a kind of dossier, which includes personal data and information obtained on the basis of annual assessments. According to the personal file, the development of the employee is traced, on the basis of which conclusions are drawn about its prospects. 5. Personal tests. Psychodiagnostic tests to assess the level of development of individual personality traits the person's reliance on a certain type. Assess the person's predisposition to a certain type of behavior and potential opportunities. 20% of the respondents answered that they use various types of personal and psychological tests in their organizations. 6. Interview. A conversation aimed at gathering information about the experience, level of knowledge and evaluation of the professionally important qualities of the applicant. 7. Recommendations. When receiving a recommendation from a private person, you should pay attention to the status of this person. If the recommendation is presented to a professional by a person very well known in the circles of specialists, then this recommendation will be more justified. 8. Non-traditional methods. 11% use polygraph (lie detector), psychological stress indicator, honesty tests attitude to anything established by the company. 18% apply for candidates alcohol and drug tests. As a rule, these tests are based on urine and blood tests, which is part of a typical medical examination when entering the workplace. None of the organizations surveyed uses AIDS tests for their candidates. 22% use certain types of psychoanalysis to identify the skill of candidates for possible work in their organizations. Each stage can be considered as a filter, screening out the least qualified candidates. Steps 1-3 are used in almost all cases, and steps 4-6 are not always available. For example, step 5 is not required for posts that do not require special responsibility.